My 3D version expansion of Conway’s Game of Life. 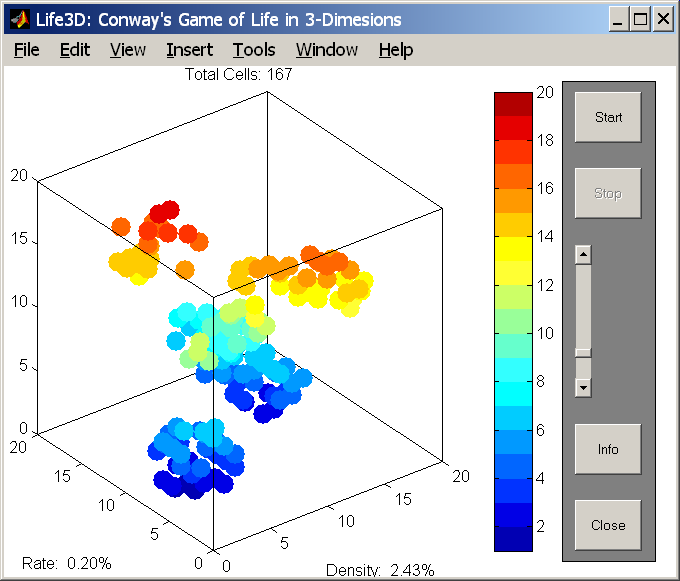 %LIFE3D   MATLAB's version of Conway's Game of Life. %   is initially all zero. %   and some will fail. 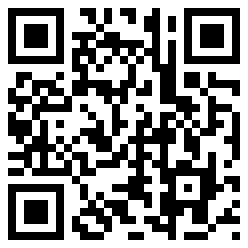 %   C. Moler, 7-11-92, 8-7-92. %   Copyright 1984-2001 The MathWorks, Inc.
% Setting userdata to -1 (=stop) will stop the demo. % The following statements plot the initial configuration. % The "find" function returns the indices of the nonzero elements. % upon how many of their eight possible neighbors are alive. % Here we generate index vectors for four of the eight neighbors. % We use periodic (torus) boundary conditions at the edges of the universe. % neigbhors, is alive at the next time step. For REAL life applications, the mid surface would be plain old earth (sealevel), each layer above or below would have a dependency on that midlevel therefore, for a 3D matrix (9,9,9)=(Xu,Xo,Xd), the weighing factors would not be distinct on each level and their interaction between levels. How would you resolve those particulars? The coefficients, d1, d2, d3 determine the weight based on Euclidean distance of a uniform 3D square grid. The weighting factors between levels are the same in this code, however the L2 norm will not be realistic, specially in a biological system. it will be required to consider the type of boundary between cells for arbitrary shapes/geometries and to use variable weights proportional to the actual distance and contact surface.